At the age of 8, Tash witnesses her imaginary friend, Sparrow, kidnap 6-year-old Mallory Fisher at a fair. The little girl turned up 4 days later in the middle of a national park, with chunks of her hair missing and completely mute. No one believes Tash when she tells them about Sparrow and she spends the next 9 years in therapy convinced by her therapist and everyone around her she made it up for attention. Now she’s 17, she hasn’t seen Sparrow since that day and if she wants to go to uni in Melbourne this is her last year to prove to her parents she can be trusted – that she has her anxiety and claustrophobia under control. Then Mallory Fisher’s family return to town. And so does Sparrow. I spent the entire book desperately trying to figure out if Sparrow was real and if so, who is he? Every time I thought I’d worked it out something new would come up, or he would do something completely impossible and in the end the only thing I could know for sure about Sparrow is he is terrifying. He appears suddenly on a stormy night in a lonely little girl’s bedroom crouched on a window seat wanting to play a game, his bare dirty toes curled over the edge like tree roots. His presence is so sinister it extended beyond the book and I frequently found myself putting it down and glancing nervously at the shadows around me. 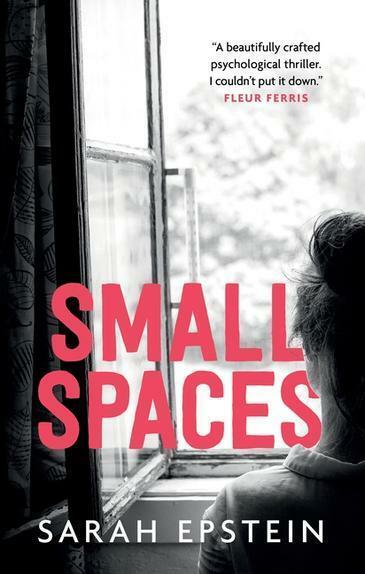 Small Spaces is good, terrifying fun and I highly recommend it for all brave souls 14+ who love reading.